Once Isla was 8 weeks old I decided that we needed to start doing an organised activity together and on the recommendation of one of my best friends I took Isla for a trial at Gymboree for a Baby Play class. Gymboree is designed to introduce your baby to new sights, sounds and sensory experiences. It's all bright colours, fun music, puppets and best of all as far as most of the babies were concerned lots of BUBBLES! The one I went to is in Croydon and run by the lovely Emma. She adores all the babies that come her way and she was always able to give you the benefit of her opinion re anything kid related as at the time I joined she had 2 under 3's herself (mad, lovely woman!). The sessions are once a week and last 45 minutes. There is generally always a theme, so I think one week was disco and we all had to dance with our babies, it was really fun and when I came away it gave me ideas for when I was at home with Isla. One of our best moments at Gymboree, and this is going to sound incredibly mummish (I know this isn't a word! ), was when Isla had only just learned to roll over and she did it in front of the whole class and everyone cheered. I couldn't imagine being so excited over such things when I was pre-family but once you've had children, every milestone they reach feels like such an achievement. I soon persuaded my NCT friends to join Gymboree, which was great as I got £5 per head referral fee and we used this as the start of our kitty for a mum's night out! It was brilliant getting together with my mummy friends on a weekly basis at Gymbo, as apart from the babies playing we all got to have a catch up too. Gymboree is a brilliant way to have fun with your baby and also to make new friends. The web address is below, hopefully you will be able to find one somewhere near you! 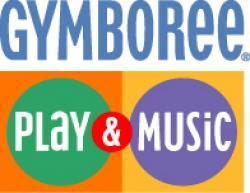 As the friend who recommended Gymboree to Sharon I can definitely vouch for how wonderful it is! Samuel & I joined when he was 3 months old and we both got a lot out of it. For him at the beginning, the sensory activities, colourful surroundings and songs appealed the most, then as he found his mobility this extended to the climbing apparatus and soft play. For my part the interaction with fellow mums was invaluable and seeing the babies in the class develop over the year or so we attended was lovely. I was also a big fan of the colourful parachute that gets waved above the baby’s heads at the end of the class, strangely reminiscent of a similar thing that used to occur at the Whirl-Y-Gig club in London - if anyone remembers that! Emma who runs the class is excellent at making new members feel welcome so if you are looking for a regular fun activity for you and your baby/toddler – Gymboree is it!